It was a foodie-centric day in our home. 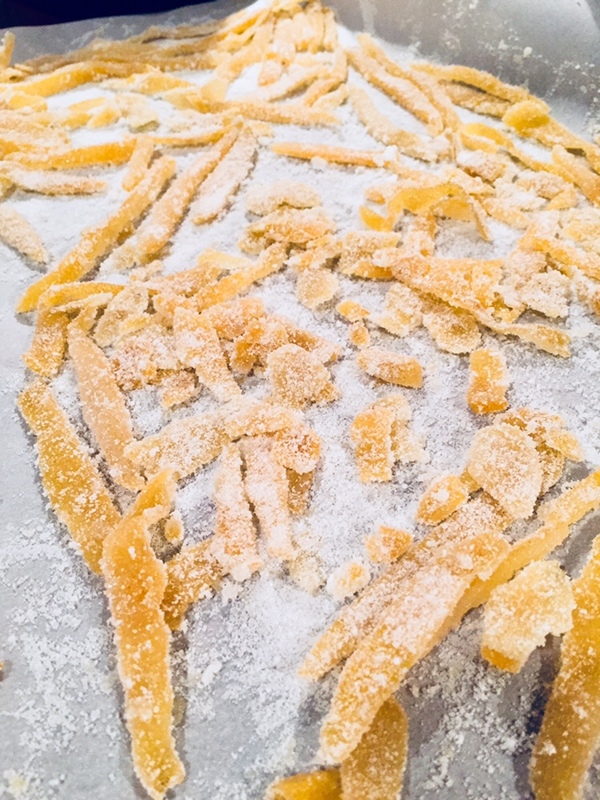 I candied lemon peel for the first time, and was surprised at how easy it was to make. I tried to make two different styles, but the curly ones didn’t really retain their curl. They’re all delicious anyway! I loved the series of photos in this recipe I followed. 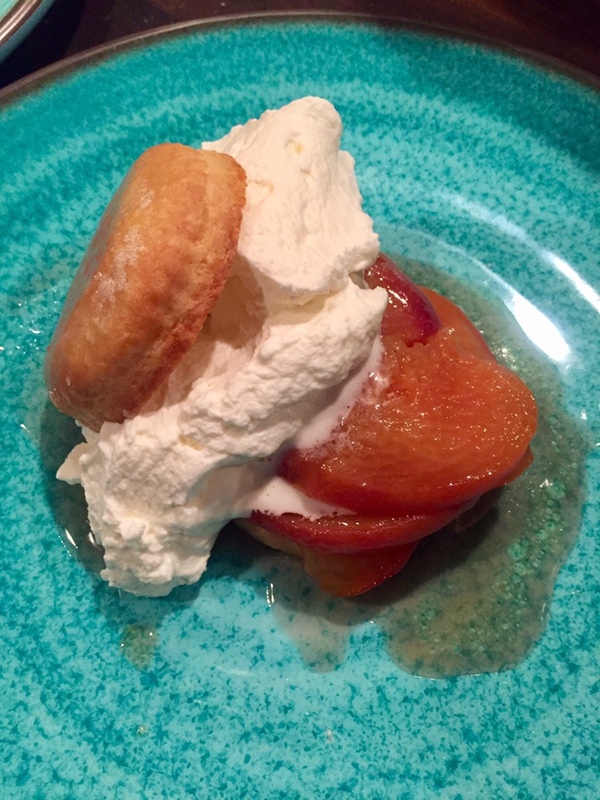 And then I repeated our recent Elderflower Peach Shortcake dessert tonight, but I took it up a notch, out of necessity. Our only other peach wasn’t quite ripe, so I poached it! 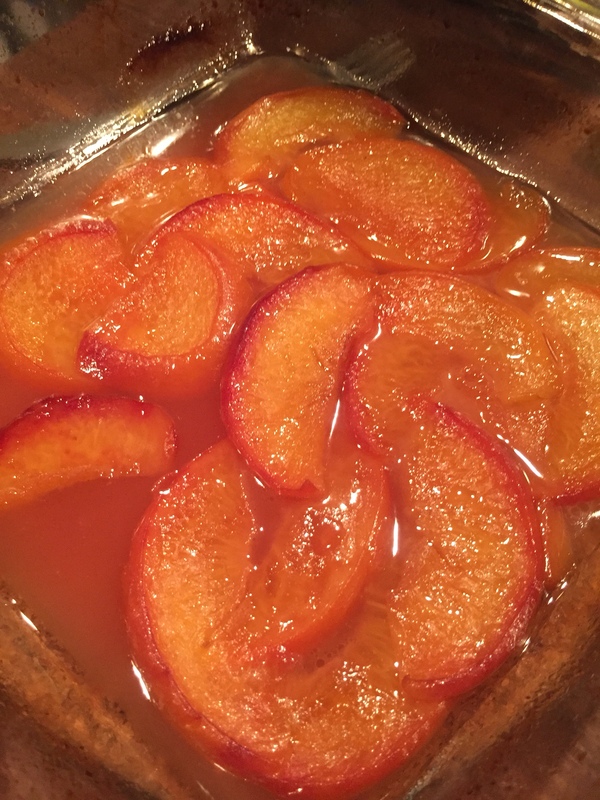 This tasty treat was only made better by cooking the peaches — so good it was otherworldly! Also, I may never make plain whipped cream again, when I can make it taste of Elderflower! Today’s #OneGoodThing was enjoying a foodie day of fun at home with Mama! Day 184 of 365. And Day 915 in a row (here’s the first 366 & the following 365)! 2 years ago today: A clean desk at last! I’ve made candied orange peel, and dipped them halfway in chocolate- yum! Yes, you’re right, they are so easy. And what a tasty way to have zero waste! I bet the candied lemon peel is fabulous and loved all your photos!